Imogen's Typewriter. 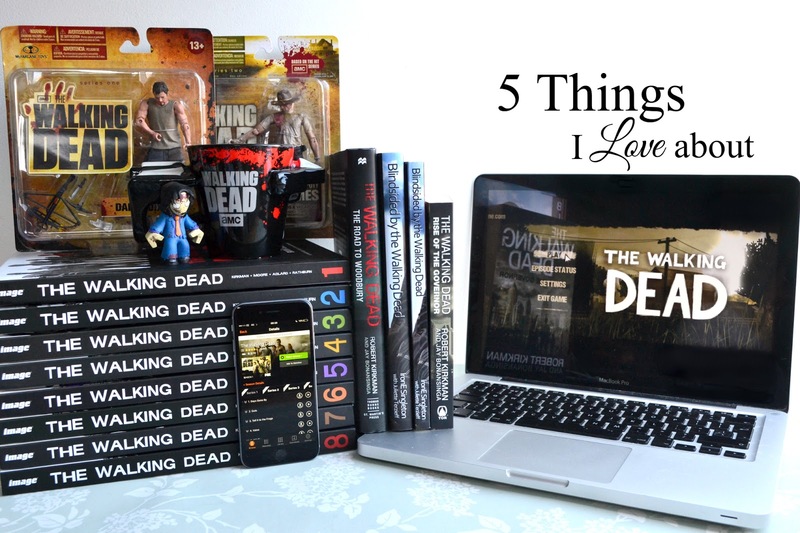 : 5 Things I Love about The Walking Dead! Fun fact: I loathed The Walking Dead when I first watched it. I watched the first season on my phone while I was visiting family and it was way too spooky to be watching in a creaky bed in a dark unfamiliar house. But when season 2 came out I gave it another chance, now I love it- continuity issues and all. There are a few different video games; xbox, phone, but the one I play is the PC version where your choices completely change the story. I've played games like that before where no matter what you choose, it doesn't seem to make a difference but The Walking Dead game really changes. I've played it a couple times with drastically different results (but always more than a few tears). The comics are the original source for it all, and they're pretty great. I really need to get around to re-reading them soon because the show is catching up to issues I haven't read. You don't have to read the comics to watch the show, or play the video games, or visa versa, but they were part of my introduction into comic books and I love them. Except #100, never forgive #100. When I wasn't reading much, I still read The Walking Dead novels that were out at the time. They're nice little additions to the worlds you know. I'm fairly certain they're part of the comic!verse but who knows at this point. They're good stories, you get extra Governor if you like the character and prose really adds something that TV and comic books can't. 5. I met my best friends through it! Over five years ago I joined a Walking Dead chat room I found on Tumblr one boring Autumn evening. Now three people I met in that chat room are some of the most important people in my life. They're there for me when I'm sad, when I'm happy, they've taught me so much and I adore them. All because of some zombies. Do you watch/read/play The Walking Dead?